What Is a BIA and Why Is It Important? A Business Improvement Area (BIA) is a geographic area in a municipality, wherein which a BIA Board of Management made up of local business and commercial property owners, elected at the time of Toronto municipal elections and serving on a volunteer basis, has a mandate to promote economical development by enhancing the safety, look and feel of their neighbourhoods to attract more visitors to shop and dine, as well as to draw new businesses to their area. BIAs are created and governed by Provincial and Municipal legislation. 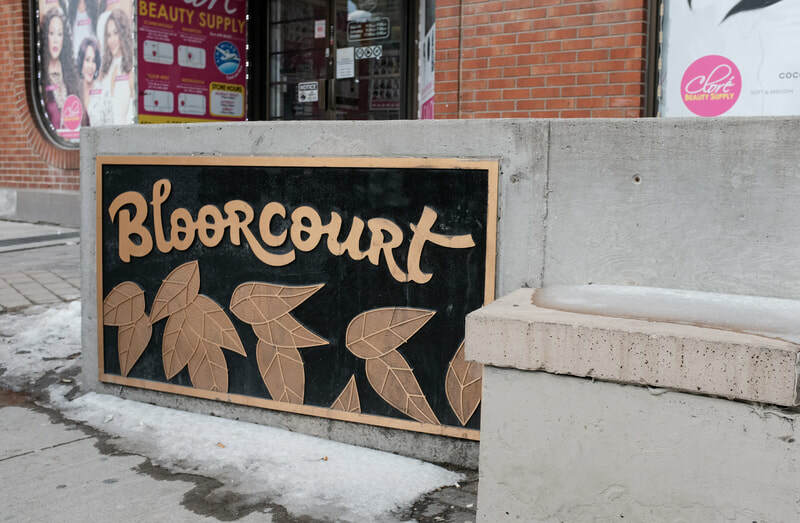 The Bloorcourt BIA was established in 1979 and has boundaries at Dufferin St at the West, and Montrose St / Crawford St to the East, north and south to the commercial laneways. Every commercial property owner and business tenant is automatically a member of the BIA. 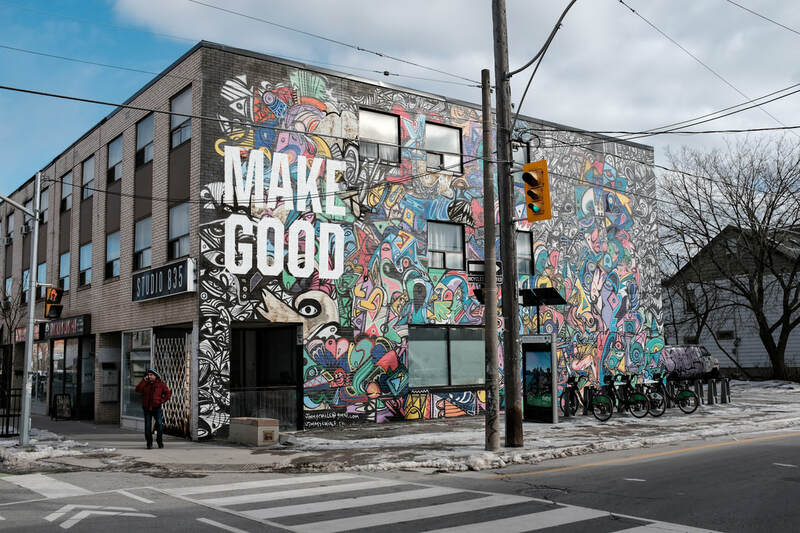 In order to fund these business and neighbourhood improvements, the BIAs set and manage budgets which are raised by an additional tax on commercial properties called the annual BIA levy, collected by the City of Toronto together with property tax payments. This money pays for most of the local street festivals and events, as well as streetscape upgrades (beyond the basic city standards), public art, and seasonal and neighbourhood branding. 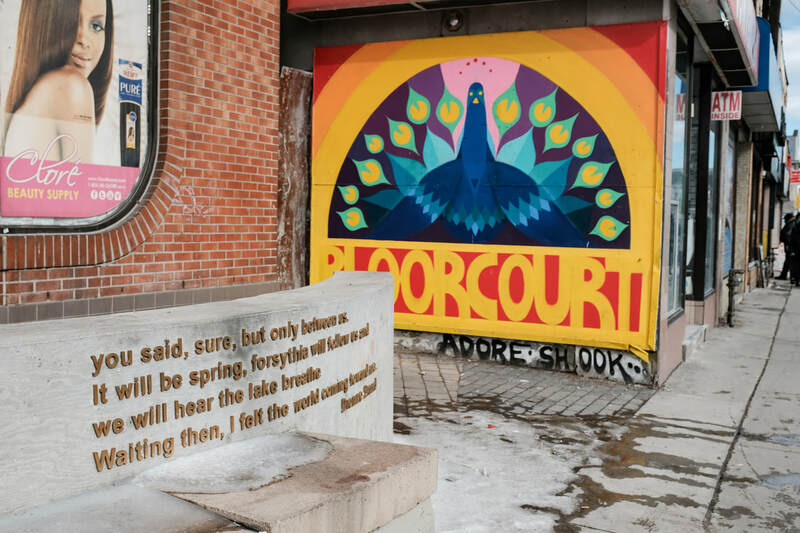 Why Did the Bloorcourt BIA Come Into Being? Before the Dufferin Mall was built, that land was known as the Dufferin Park Race Track. As far back as the 1880s, the local land owners, the Denison family created a riding track on their property for their own private use. Sometime around 1905, the track started being leased as a public racetrack, though the first official records of public racing there are in 1907. The track closed in 1955. In 1956 the site was established as the Dufferin Plaza Shopping Centre and in the 1970s the shopping plaza was converted to an enclosed mall space and renamed the Dufferin Mall. 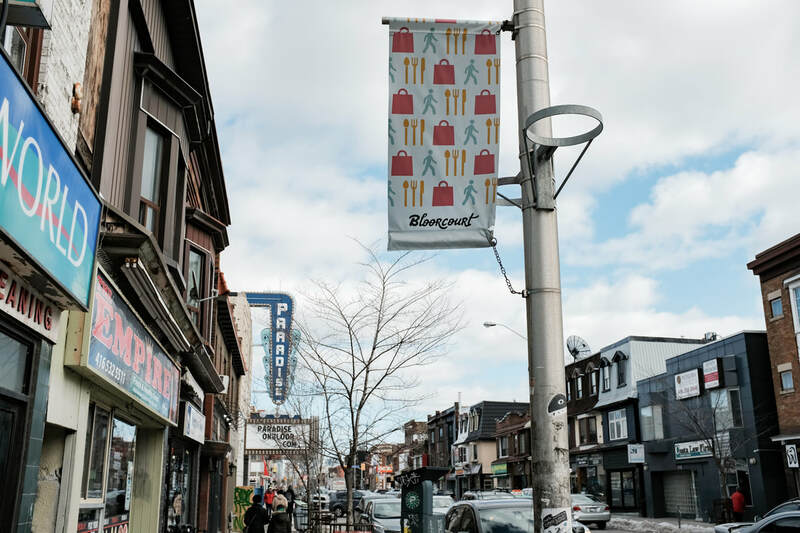 The Bloorcourt BIA came into being largely as a response to the creation of the mall, which changed the landscape of the Bloorcourt commercial main street considerably. The western half of the BIA had had a strong retail presence. Remnants of this racetrack history are still evident in the neighbourhood - the Black Horse Tavern, the maker-space Site 3 in the laneway at Concord and Bloor used to be an old blacksmith shop and there are still coach houses that can be found on Rusholme Road. 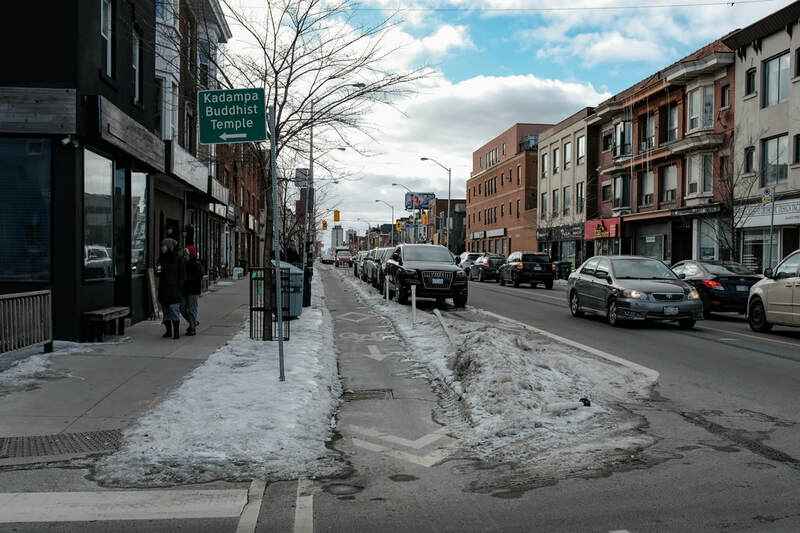 The Bloorcourt BIA volunteer Board of Directors is comprised of 12 elected representatives and 2 City of Toronto Councillors. The volunteer Board of Directors are elected every four years at the Annual General Meeting. Directors must operate a business, represent a business or own a property within the Bloorcourt BIA boundary. The Bloorcourt BIA membership is invited to participate on any of these sub-committees. We welcome the input and assistance on our many projects. If you have any ideas or concerns you think we should be addressing, we would love to hear from you.